When making a decision whether it be a big one or a little one, there are many factors to take into consideration. 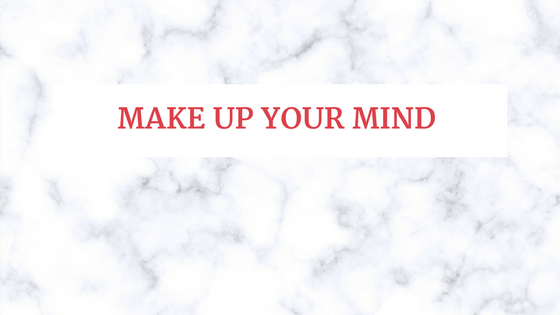 In the new Decision Making Guide, there is an entire section on how to debrief the process it takes to make up your mind and determine if you are making the right choice. The next time you make a decision think about your emotional feelings about the decision? Try not to think of the emotions that you put here as negative or positive emotions. 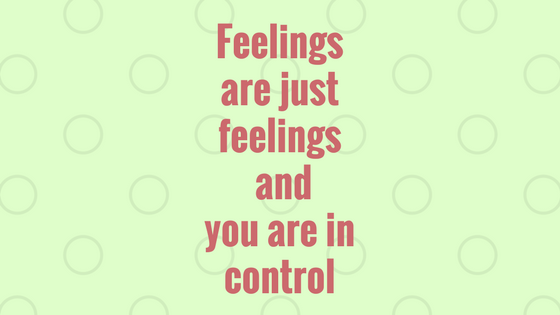 Feelings are just feelings and you are in control. Use your emotions as a way to guide your thinking and determine the timeframe for feeling them. For example, if making this decision makes you feel sad, will you feel sad temporarily, or will you feel sad on more of a long term basis? If you aren’t sure, take your best guess, you know you the best! Also look at the reasons you feel these ways. If you feel like you are unsafe, or like there is a threat for harm (harm to yourself, to someone else, or someone harming you) this should be a big indicator that this is not the best choice for you. Let’s look at fear when it comes to making decisions. Is fear present because there is an eminent or dangerous threat associated with making this decision? If yes, then maybe it’s best that you use this gut feeling to keep you away from the danger. Or was it fear to get outside of your comfort zone? Is it scary because it’s new and it’s something that would take you away from what you are comfortable doing? 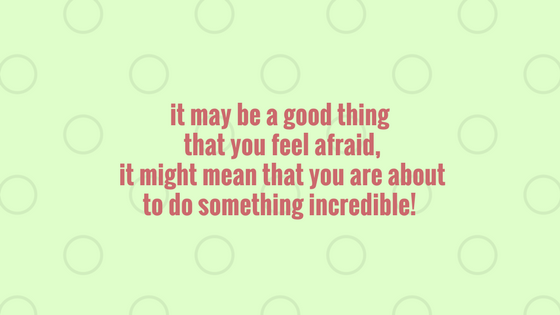 In this case, it may be a good thing that you feel afraid, it might mean that you are about to do something incredible! Let’s look at happiness, does making this choice make you happy because you are genuinely excited about this outcome for yourself, or are you happy because of what this choice will do for others. 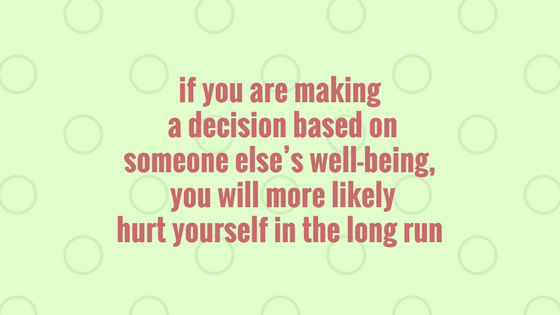 Other people’s happiness is important, but if you are making a decision based on someone else’s well-being, you will more likely hurt yourself in the long run. If you are looking for some guidance to help you in making your next big decisions find the Decision Making Guide here.